A few days ago I crocheted a cute little penguin (took me bloody forever!) which I am so proud of :D She turned out so cute and perfect! 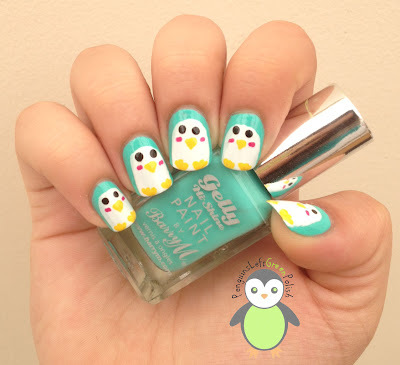 This inspired me to paint her on my nails :) I have done penguin nails before but this one is a little different because its a greeny bluey colour lady penguin! 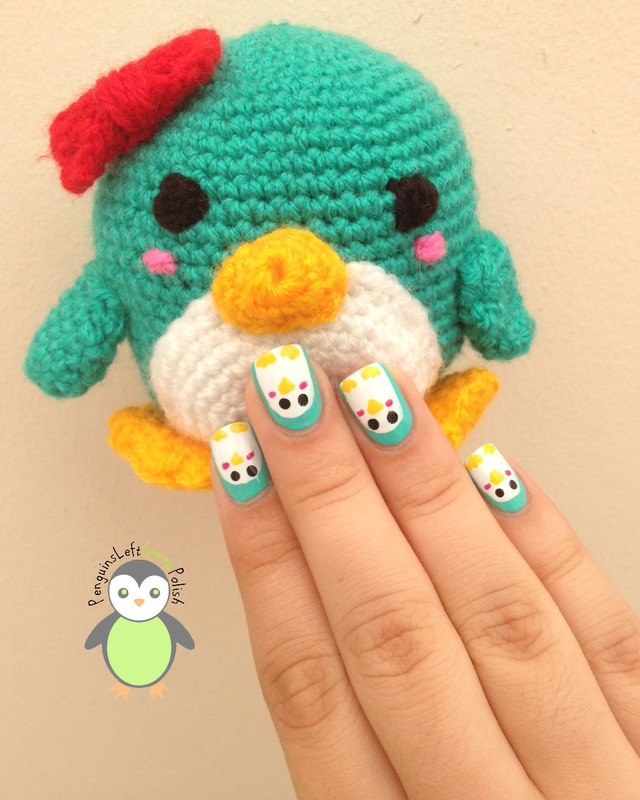 What do you guys think of crochet and nails? :) Do you like this design? I love it, that's fantastic! I'm also a crochet/nail obsessive. But I've combined the two like this. :) So very very cool! Really? :D I'd love to see some of your work! Thanks! 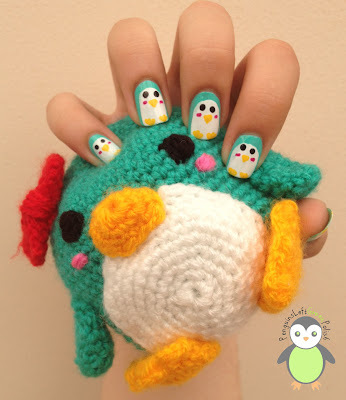 Adorable, love the nails and the crochet penguin too! 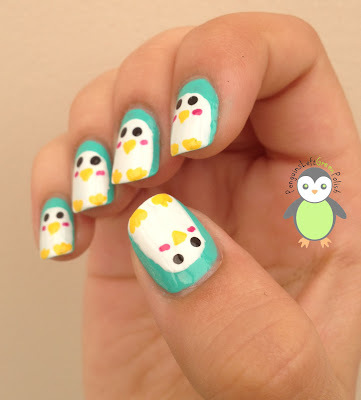 OH my days that penguin is ADORABLE! I love the matching nails too, too cute!! Thanks :D I love how the nails turned out! How adorable, both your nails and your crocheted penguin! It's adorable! :D I was looking at these pictures in a slideshow Lion Brand put together that featured nail art inspired by knitting and crochet. 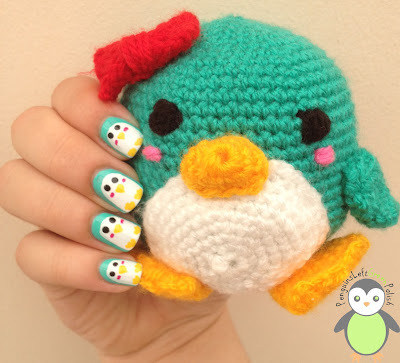 My little cousin was peering over my shoulder, and she fell in love with your amigurumi penguin design :) Do you know where I could get the pattern?